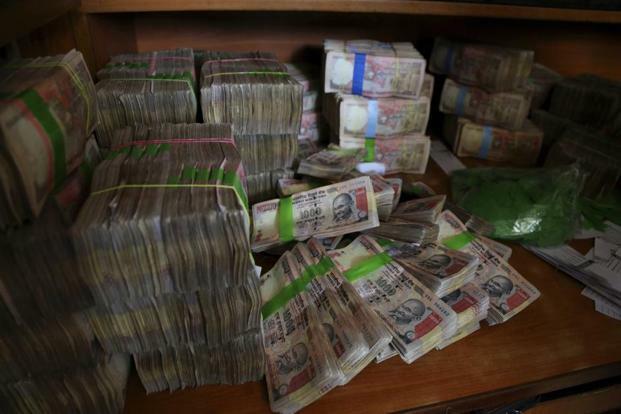 Why A Delhi Gangster Paid Rs 1 Crore To Buy Rs 36 Crore Of Banned Currency Notes? The National Investigation Agency (NIA) is a central agency established by the Indian Government to combat terror in India. It acts as the Central Counter-Terrorism Law Enforcement Agency. The agency is empowered to deal with terror-related crimes across states without special permission from the states. As NIA digs deeper into the terror funding case, new astonishing details are coming to light. On Monday, bank officials were rushed to the National Investigation Agency Headquarters in Delhi. The NIA on Tuesday claimed to have seized demonetized currency at face value of over Rs 36 crore from six people in the national capital. 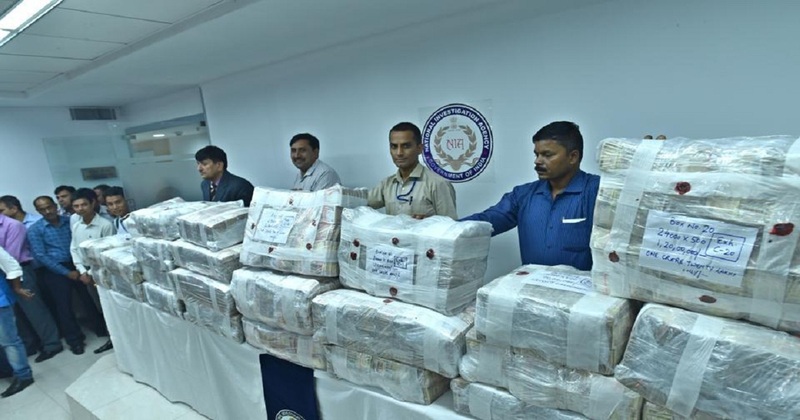 It took several hours before they arrived at a figure of Rs 36.34 crore seized by the agency carefully bundled in 28 cartons. When the agency sleuths disclosed that there had been a major breakthrough in terror funding case. This comes after the NIA arrested 9 suspects from Delhi including a Delhi Police constable and a big property dealer. Those arrested have been identified as Delhi residents Pradeep Chauhan, Bhagwan Singh and Vinod Shreedhar Shetty, Deepak Toprani of Mumbai, Ejajul Hassan of Amroha, Jaswinder Singh of Nagpur, and Jammu and Kashmir residents Umar Mushtaq Dar (Pulwama), Shahnawaz Mir (Srinagar) and Majid Yousuf Sofi (Anantnag). The agency has also seized BMW X3, Creta SX, Ford EcoSport Titanium and BMW X1 cars. Among the nine arrested gang members, one of them had paid Rs 36 crore to buy banned notes. Pradeep Chauhan, 47, a resident of Sarai Kale Khan, allegedly paid Rs 6 for every Rs 100 note he purchased. The plan to buy banned notes was hatched by Chauhan, a property dealer with a dubious reputation. Chauhan had spent Rs 30 per Rs 500 note and Rs 60 per Rs 1,000 note. His misadventure, however, cost him time in person. 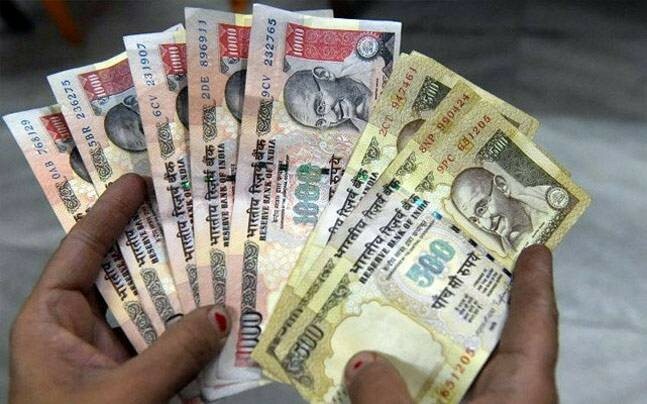 A senior officer said that the amount varied for buying notes. But they paid roughly 9-10 percent of the banned currency but wanted to earn the profit after exchanging the money. Chauhan also lured Delhi Police Constable Bhagwan Singh, who agreed to be of the deal for conversion of amount worth Rs 2 lakh. Chauhan through a complex web of links was close to another accused Deepak Torani, a man who claimed to be Ex DG of DRI. As part of the conspiracy, he traveled to Srinagar multiple times in past six months sources. Chauhan took several flights to Srinagar to meet with other persons with dubious nature. The gang’s key men in the Valley were Mushtaq Dar from Pulwama who was in touch with two others identified as Abid and Shahnawaz Mir. While Mir was arrested by NIA, Abid has been called in for questioning by the agency. Other accused included a man named Mohammed Rafiq Ali a resident of Kolkata. The agency has booked the six, along with three others, for alleged terror funding and arrested them in its case against Hurriyat leaders. According to the NIA, during questioning of the accused in the case against Hurriyat leaders, the agency learned that some people associated with top separatists were hoarding demonetized currency. “Surveillance was mounted on such persons/ entities. This led to the unearthing of a conspiracy wherein a gang of such persons/entities were making an attempt to convert this demonetized money into valid currency,” an NIA spokesperson said. 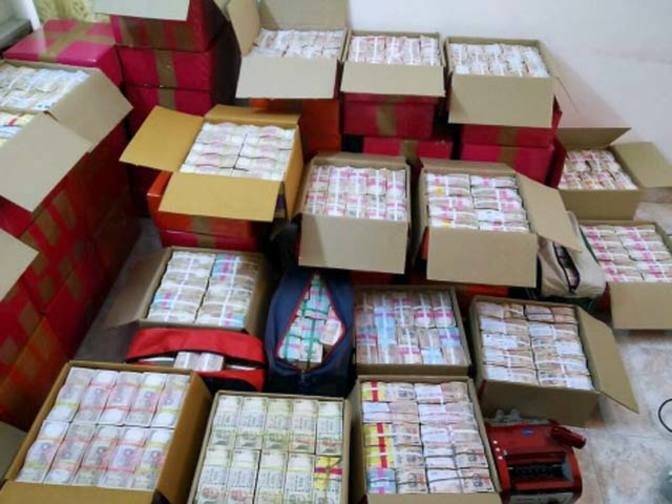 The agency said that on Monday, an NIA team intercepted the gang members at Jai Singh Road near Connaught Place and found them carrying 28 cartons filled with demonetized Rs 500 and Rs 1,000 notes. Over two days of counting, the agency has arrived at the figure of Rs 36,34,78,500 in demonetized currency. NIA sources feel the exchange of money could possibly not have happened without nexus from Bank officials by tinkering the bank records. All the 9 accused will be produced in the Special NIA Court of Patiala House.